Downtown Fort Myers, serving up chill vibes. 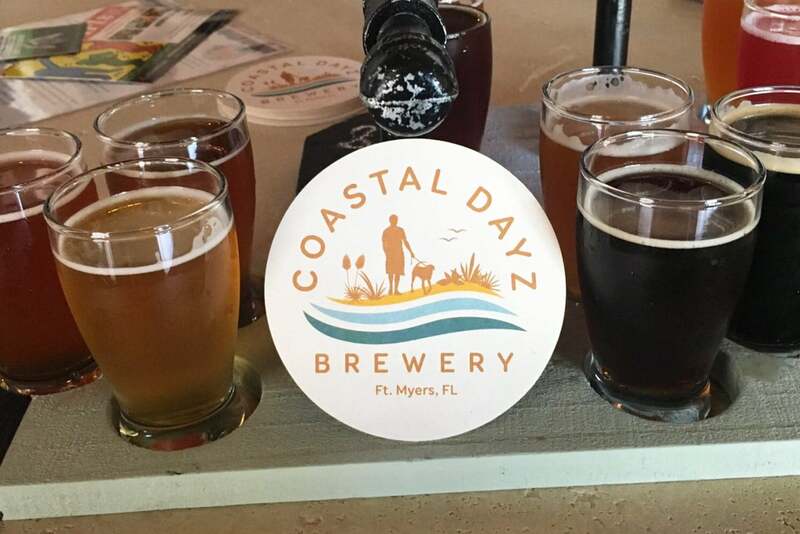 Coastal Dayz Brewery opened in the Summer of 2018, and have quickly become a strong favorite in Downtown Fort Myers for a few cold ones in a casual, welcoming settings. 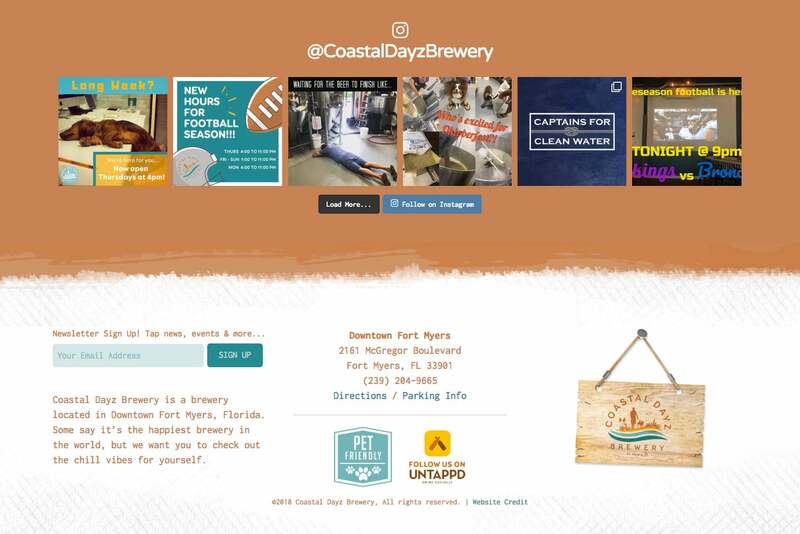 With decades of experience in the brewing industry, the owners decided to make their dream a reality and are now serving up delicious craft beer and good times for neighbors and tourists of the area. 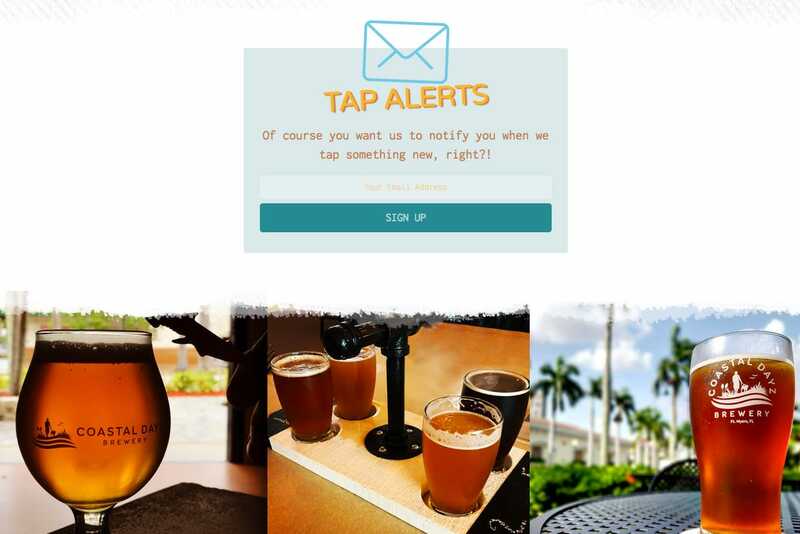 This Fort Myers brewery is primed to be staple in the Fort Myers craft beer scene for a long time. We are responsible for everything from the logo design and branding to the website design and development. 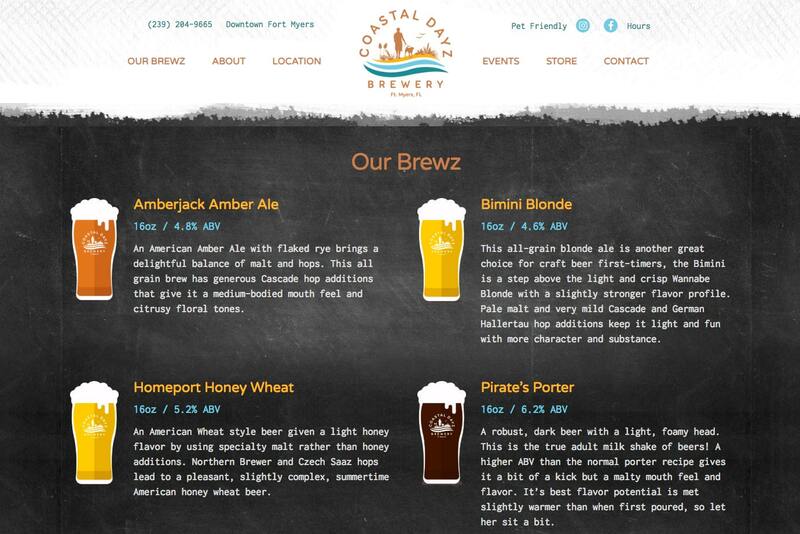 Our creative design team produced a stunning identity that beautifully represents everything about the brewery. Coastal vibes, pet friendly, and a calming atmosphere. 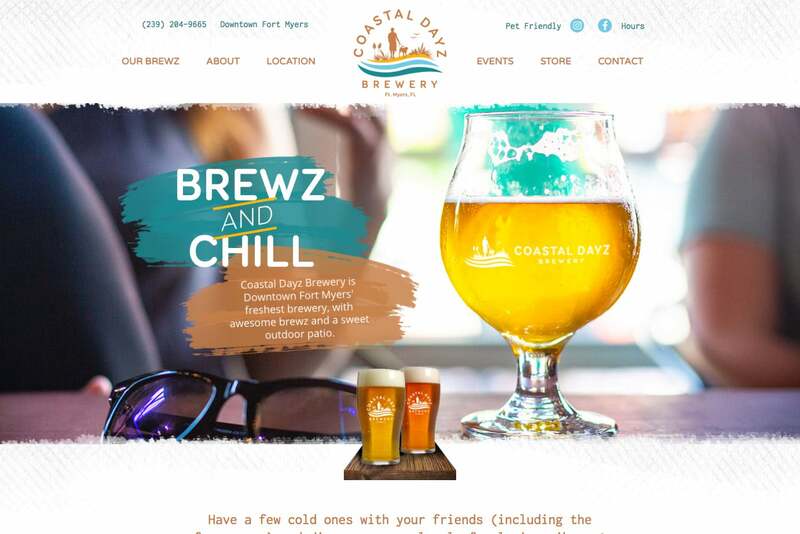 To learn more about Coastal Dayz Brewery, visit the website we launched in August 2018.